Feeling FANTASTIC today! 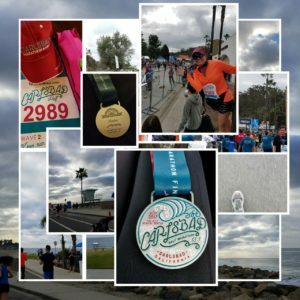 It was a fun, relaxing run & day yesterday at the 2017 Tri-City Medical Center – Carlsbad Marathon & Half! My spirit is full with gratitude for my health and abilities to participate in this event and for all of wonderful supportive messages! This morning I’ve been reflecting on the simplicity of my 13.1 mile run! As a nutritionist, healthy lifestyle coach and success mentor I’ll often analyze the approach I teach my clients (on myself & with clients). This morning I’ve been reflecting on my quick decision to participate in running a half marathon on a surprise moment’s notice! When we consistently take steps that support our higher goals and visions, we are well able and equipped to ACHIEVE THEM! I FEEL PHYSICALLY FANTASTIC and I’m SUPER EXCITED about this because it’s a nice confirmation that what I teach – works! I have only a slight hint of tenderness in my legs – the feeling of having a good work out (the day before)! Over the past few months I had only been running or walking about 2-3 times a week and all short distances. I had not been “training” to run a half marathon! However, I have been living a High Health Lifestyle including simple all natural nutrition (the healthy nutrition plan I share with clients, High Health Nutrition Plan)! Whatever your personal goal may be whether to run, walk or hike a race event, lose some weight, gain some weight, get control of your health, reach business goals it can be done with ease and simplicity! I see a lot of people spending a lot of time over-working their bodies and spending a lot of money taking a lot of supplements to aid in achieving their goals which in the long run is not a healthy approach. Personally, I like a more casual and all natural approach that nourishes all areas of me, for healthy living and achieving goals! 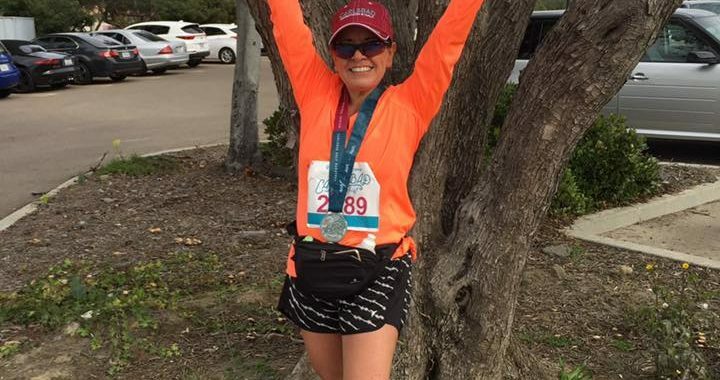 Participating in the Carlsbad Half Marathon had been a desire of mine for over 10 years! My decision came easily to say YES to ME when I realized only 2 nights before the event was the same weekend! I thought I had a few weeks and that I would put in a few long runs as a semi-get-ready training and amp it up nutritionally just in time! LOL! I didn’t want to miss this event for any of the reasons that could’ve blocked me. This half marathon is the first of three within this year to achieve the San Diego Triple Crown which I’ve also wanted to do for many years! So with good fortune – I registered Saturday and showed up to the starting line Sunday morning! My run was fun and relaxing along the beautiful Carlsbad coast! A wonderful vibe of many walks of life all with great intention and desire to achieve crossing the finish line! I was inspired all the way through from my own community of friends who posted wonderful supportive messages for me and by all those who were there running, walking, supporting the course with me! For the first few miles I couldn’t help but to take inspiring photos to capture a little bit of my experience! 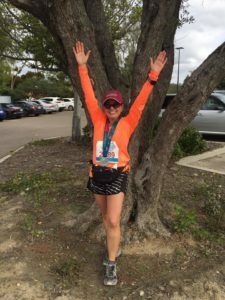 The 2017 Tri-City Medical Center – Carlsbad Marathon & Half was a great event! The course took us through Carlsbad Village and along the shores and beautiful beaches of the Pacific Ocean! I also really love the “swag” gifts that were provided with the registration; a really nice long sleeve race shirt and sharp warm up shirt too! There were great supporters and volunteers along the course including several live bands playing cool music and at the finish line there were a wave of wonderful cheering volunteers placing medals over participants, providing water and goodie bags! I encourage you to step it up and make something that you’ve been wanting to do for while > HAPPEN! NOW IS THE TIME! Let’s GO!!! Here’s a short collective of my day! BE INSPIRED!